Attorney Ike Lucero, Jr., is a top rated Criminal Defense Lawyer with offices in Denver, Lakewood, and Pueblo. You will find many of his competitors have attempted to mirror his practice, and in many cases, have borrowed content from his web blogs; however, one thing that can not be imitated is his experience and expert traffic knowledge. Two minutes on the phone with Attorney Ike Lucero and you will quickly realize that he has a strategy for your case. Mr. Lucero’s representation in a hit and run case is invaluable. At the beginning of your case, the decisions you make are crucial and picking the right lawyer to help you will have a significant impact on your case results. Mr. Lucero has been involved with cases at the very beginning, before the case is filed, and has experience discussing your situation with the detective assigned to your case. He has a high success rate for helping his clients mitigate the charges before they are even filed. Mr. Lucero has extensive experience litigating these cases in court and can help you reach a disposition with your case that often results in keeping your drivers license and staying out of jail. Keep in mind that not all cases are the same and different cases will have different results -but hiring an expert Denver hit & run lawyer Ike Lucero to help you with your case will continue to be the best choice. Would you ever go to a dentist to operate on your broken leg? Of course not, so why would you hire another lawyer when you can hire an expert Denver Traffic Lawyer, like Attorney Ike Lucero. You might be reading this page because you or someone you know has been charged with a “hit and run”, or “failure to report an accident”, or “leaving the scene of an accident” or all the aforementioned charges and possibly more. Mostly if you are involved in this situation your traffic citation is going to start with at least one 12 point charge. According to Colorado law, if you accumulate 12 points in a one year period, your license will be suspended. Additionally, you might find yourself charged with other relevant traffic violations like NPOI (No Proof of Insurance), Careless Driving, Reckless Driving,or a DUI depending on the facts of your case. Commercial Drivers may face loss of employment, in addition to CDL, jail and fines. Of all the cases, commercial drivers have the toughest cases for several reasons. First, there are several rules which apply to commercial drivers which do not apply to a regular drivers license. Hit and Run charges can result in loss of employment for a commercial even before there is a conviction. This is because commercial drivers usually are employed and their employers insurance will not cover the driver -so they will let the driver go; but on the other hand, you might work for yourself and find that your rates are unmanageable. Either way, it is a tough situation. This doesn’t take into consideration the fact that many commercial drivers are often charged with these crimes due to the fact that they are driving a tractor with a trailer attached which can be very difficult to maneuver due to the size. A commercial driver could easily damage another persons car without any knowledge of it occurring but be treated as if though they are criminals when they were in fact delivering goods, like food, to the local grocery store. Commercial drivers are the backbone of America and make the America dream possible by delivering our goods like food, gas, water and other life essentials. Whether you will be sentenced to imprisonment will largely be determined by several factors, like your criminal record, your driving history and the facts of your case. It is the judge who will sentence you. Remember that every situation is different and no two cases are the same. You may have struck an unattended automobile and left the scene of the accident without knowledge that your vehicle contacted another vehicle. On the other hand, you may have been driving drunk and ran a red light colliding with another motor vehicle which caused serious injuries or fatalities. 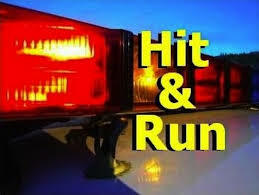 Hit and run is a misdemeanor, but may be charged as a felony where the accident results in serious bodily injury or death. It is important that you contact an attorney to discuss your case, if you find yourself in this situation. There is no substitute for good legal advice. If you find yourself in this situation, you should stop reading this web page and call a lawyer. It is good that you are researching your case; but understand that experience and expertise is valuable and crucial in these moments. At this time you are faced with choices, choices which can set the tone of your case or determine whether you can be convicted of a “hit and run” charge. You have rights for a reason: right to remain silent, right to an attorney, right to a trial, etc. The biggest mistake I see people make is thinking that they can talk themselves out of situations they don’t understand. Detectives are investigating crimes and if you are a person of interest, you are likely going to be charged with a crime. Being charged with a crime is serious situation especially leaving the scene of an accident charges. My practice is limited to traffic violations. If your case involves points, a motor vehicle, a traffic citation or traffic violation, your case falls within my practice area. I have many opportunities to practice your case, in several jurisdictions throughout Colorado, which means I know the best approach to take when handling your case to achieve the best outcome. My online reputation is strong. I have earned a strong reputation with my clients for several reasons. I am a straight forward an honest. I will explain the procedure, the penalties, and likely outcomes -based on my opinion. I won’t tell you what you want to hear -you don’t pay a lawyer for that. You want your lawyer to advise you of what you should do based on the facts of your case. I am easy to work with. You will find that I give your case personal attention, am personable and easy to work with. I value your trust and you value my expertise. I am here to help you. I return your calls and keep you updated about your case. I am happy that you are interested in your case and encourage communication with you. I am results orientated. My results are consistent and sustain satisfaction for our clients because I work hard to reach favorable outcomes. Reasonable Fees. I strongly feel that every situation is different. I tailor my fees to your situation and what I think is fair for both of us. I will draft a contract and you will know your case will cost you.